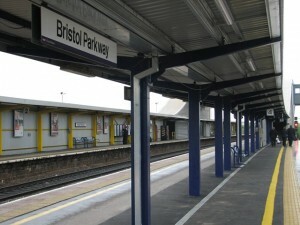 Residents living near Bristol Parkway station have been invited to a drop-in event to find out more about upcoming work to prepare the Great Western Main Line for electrification as part of Network Rail’s Railway Upgrade Plan to provide a bigger, better, more reliable railway for passengers. Network Rail is carrying out essential work in and around the station to accommodate the new fleet of faster, greener electric trains, which will provide more seats and more room for passengers. In addition, improvements to the signalling system will replace equipment installed in the 1960s and 70s with the latest technology, paving the way for a more reliable railway and fewer delays for passengers. The station will remain open for the majority of the project which is due to start in late December 2016, with completion in 2018. In order to keep disruption to train services to a minimum, much of the work will take place overnight and at weekends. The event will take place on Tuesday, 29 November 2016 at St Michael’s Centre, North Road, Stoke Gifford, Bristol BS34 8PD, from 4.30pm to 7.30pm.Members of the Network Rail project team will be on-hand throughout the event to explain more about the work taking place and to answer any questions.